Melt a bag of milk chocolates in the microwave. Pour chocolate in the mold, and let it cool in the fridge over night. The next morning, carefully take the chocolate out of the mold, wrap it in plastic wrap, and put it back in the fridge. Put the silicone mold on a baking sheet and bake per instructions on box. Cover the brownie with caramel sauce. Place the molded Han Solo chocolate on top. Serve immediately, with ice cream. 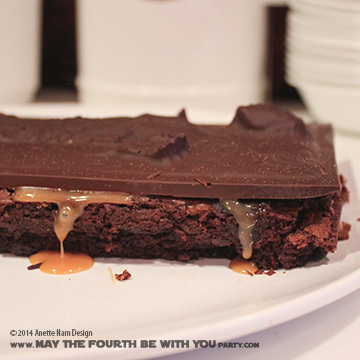 Note, if the brownie is still warm when you place the Han Solo chocolate on top, it will melt a little. It does not looks quite as nice, but it makes it much easier to cut, and much gooier to eat….though you do have to serve it immediately. If you prefer, you can wait until the brownie is room temperature before adding the caramel and molded chocolate. If you do, plan ahead, and make the Han Solo molded chocolate as thin as you can make it, that way the brownie is easier to cut. 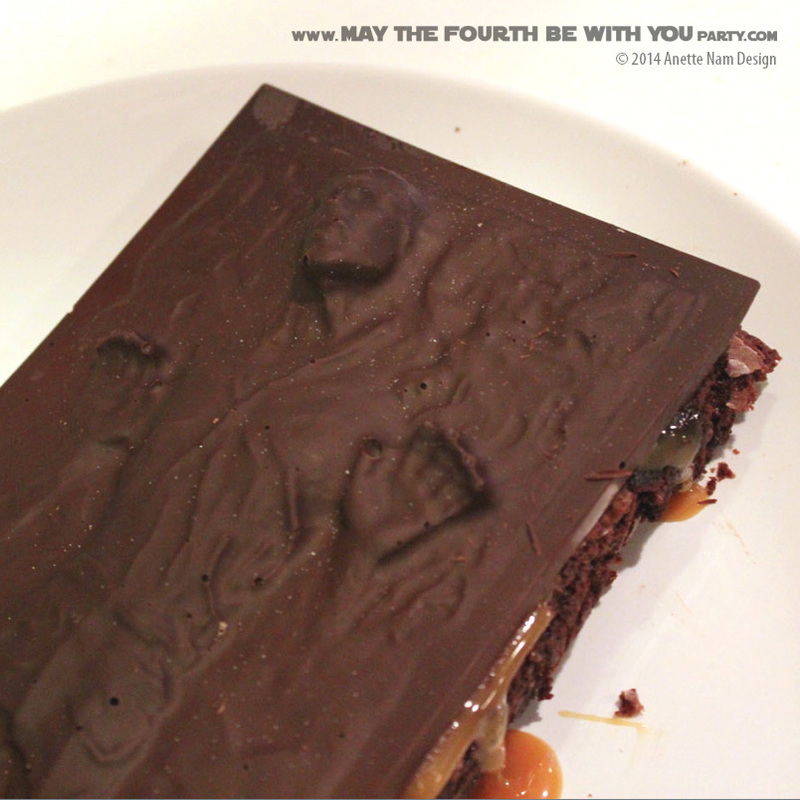 If you prefer single serving Han Solos, click here for instructions on Star Wars chocolates. ← Our (almost) First Post!